'a wondrous reminder of Attenborough's pioneering role . . . full of delightful tales' Daily Express 'An adventure that sparked a lifetime's commitment to the planet' The Lady Following the success of the original Zoo Quest expeditions, in the late 1950s onwards the young David Attenborough embarked on further travels in a very different part of the world. From Madagascar and New Guinea to the Pacific Islands and the Northern Territory of Australia, he and his cameraman companion were aiming to record not just the wildlife, but the way of life of some of the indigenous people of these regions, whose traditions had never been encountered by most of the British public before. From the land divers of Pentecost Island and the sing-sings of New Guinea, to a Royal Kava ceremony on Tonga and the ancient art of the Northern Territory, it is a journey like no other. Alongside these remarkable cultures he encounters paradise birds, chameleons, sifakas and many more animals in some of the most unique environments on the planet. 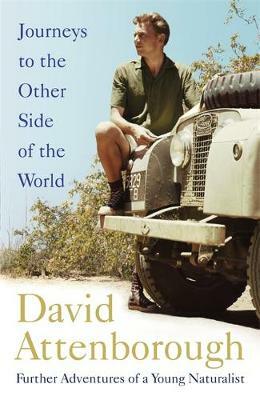 Written with David Attenborough's characteristic charm, humour and warmth, Journeys to the Other Side of the World is an inimitable adventure among people, places and the wildest of wildlife.